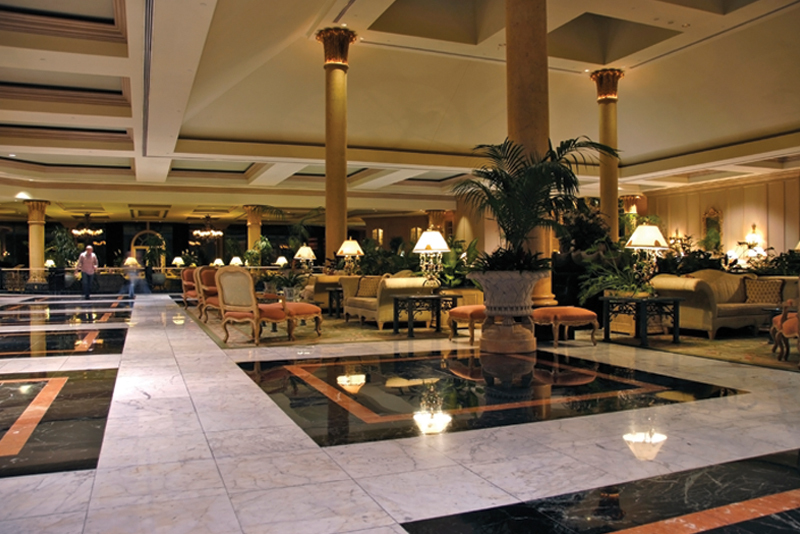 Annual Contracts Available for All Types of Floor Care. Special Rates Provided. 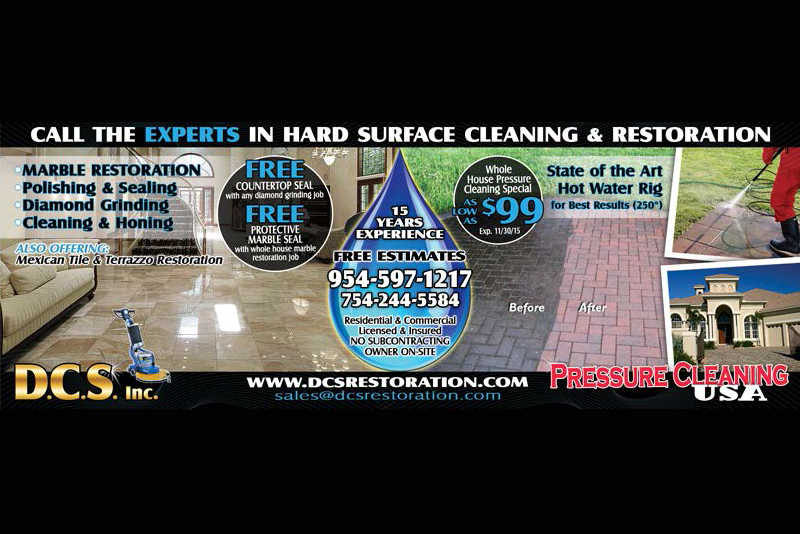 DCS Inc. has been servicing South Florida for many years. 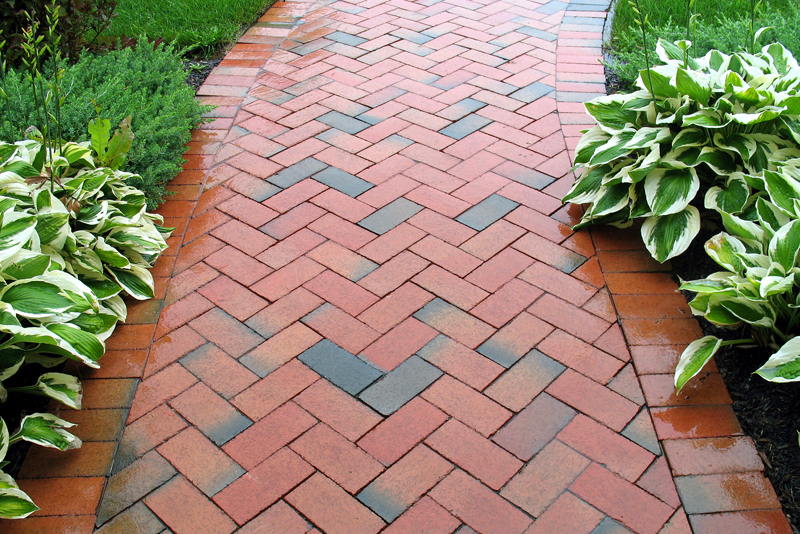 We are a owner-operated business and we take pride in our work with a 100% customer satisfaction guarantee. 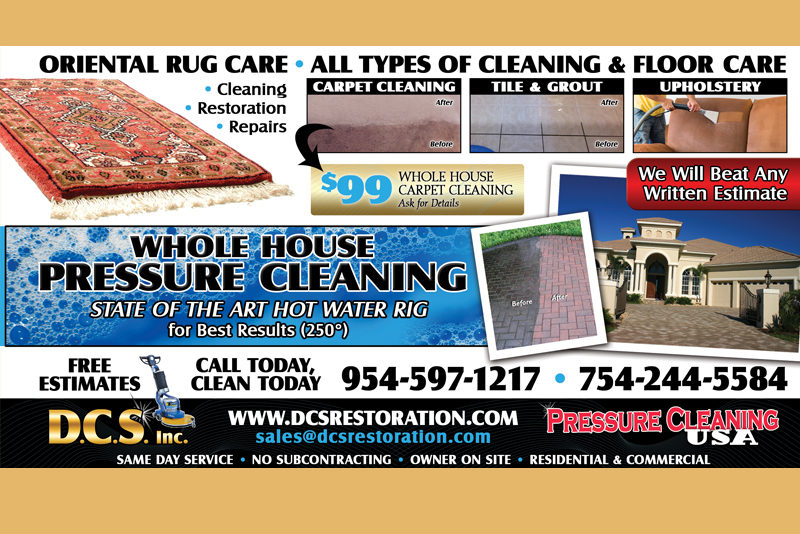 Our services include and are not limited to... carpet Cleaning, Grout Cleaning, Seal & Color Staining, Pressure Washing, Upholstery Cleaning, Mexican Tile & Terazzo Restortion, and Oriental Rug Cleaning. 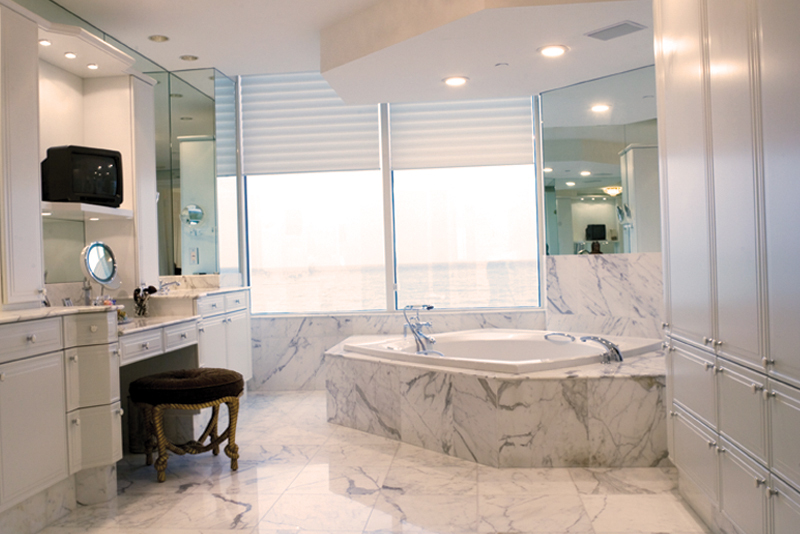 WE ALSO OFFER FULL MARBLE RESTORTION SERVICES ON ALL TYPES OF MARBLE & NATURAL STONE! 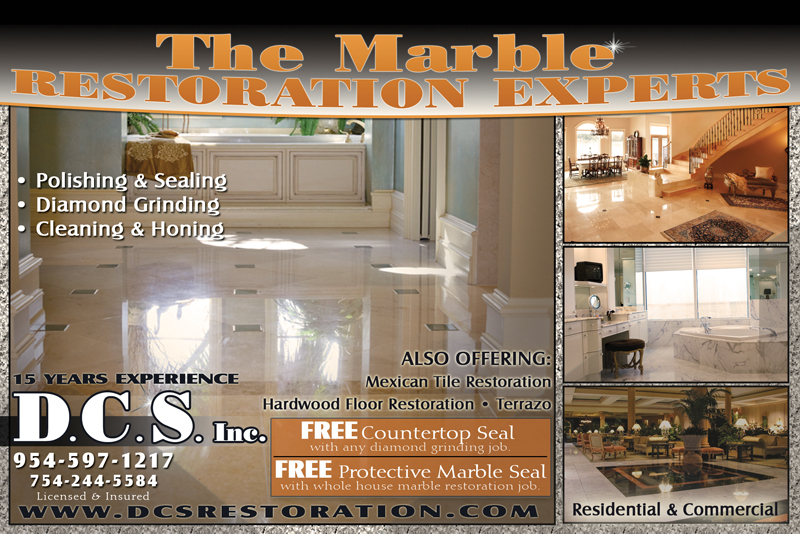 Watch Our Marble Restoration Service In Action. 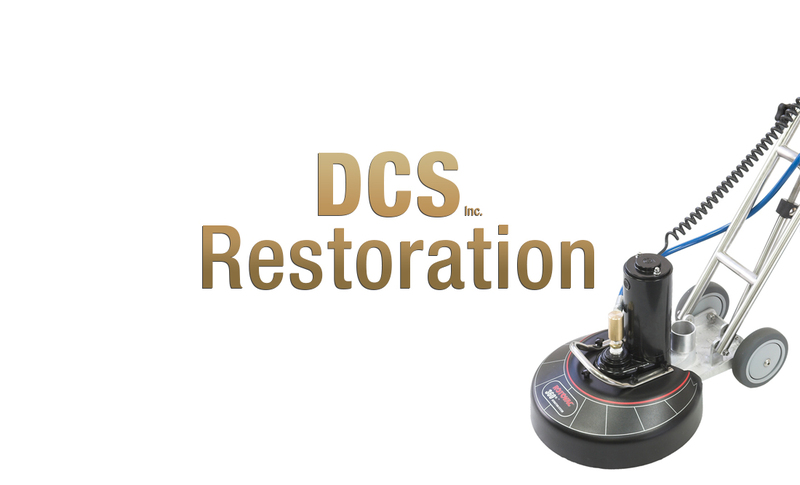 DCS Inc. specializes in all types of natural stone and marble restoration which includes cleaning, polishing, honing, diamond grinding, sealing, and crystallizing. 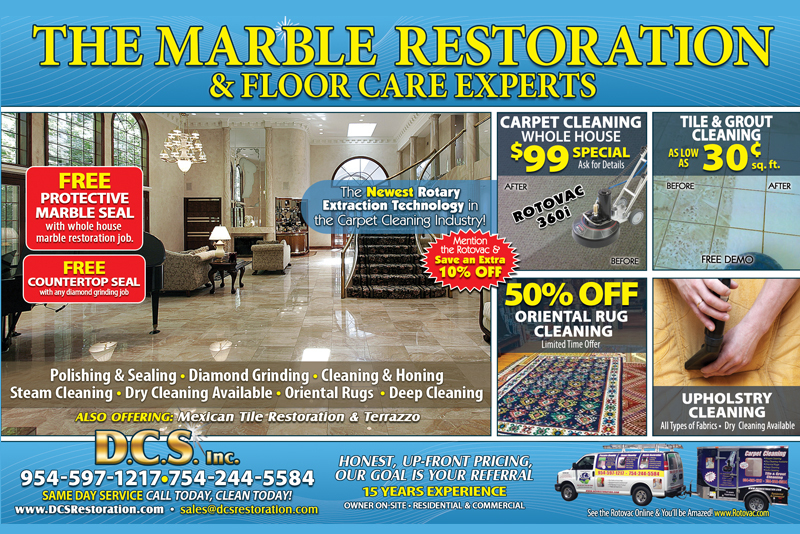 We also provide Terrazzo, Mexican tile and Hardwood floors restoration as well as tile and grout cleaning and sealing, carpet and upholstery, area rugs, drapery and air duct cleaning. 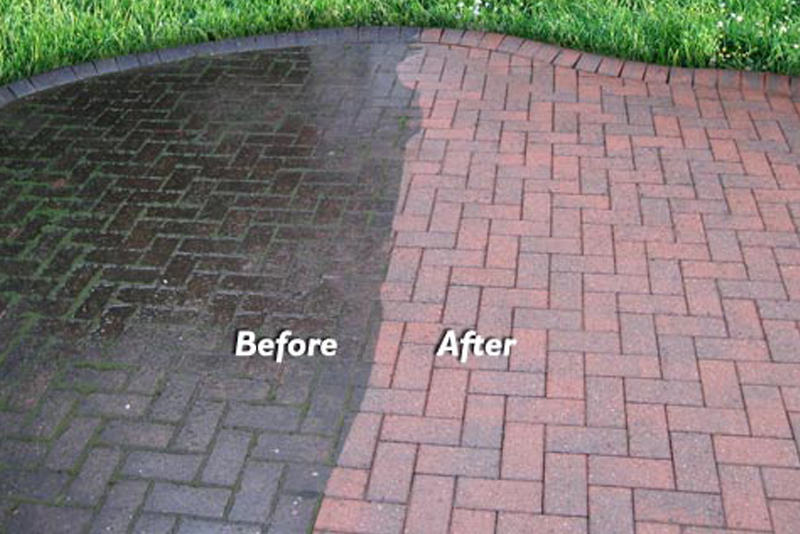 We are providing high quality services with 100% customer satisfaction guaranteed. 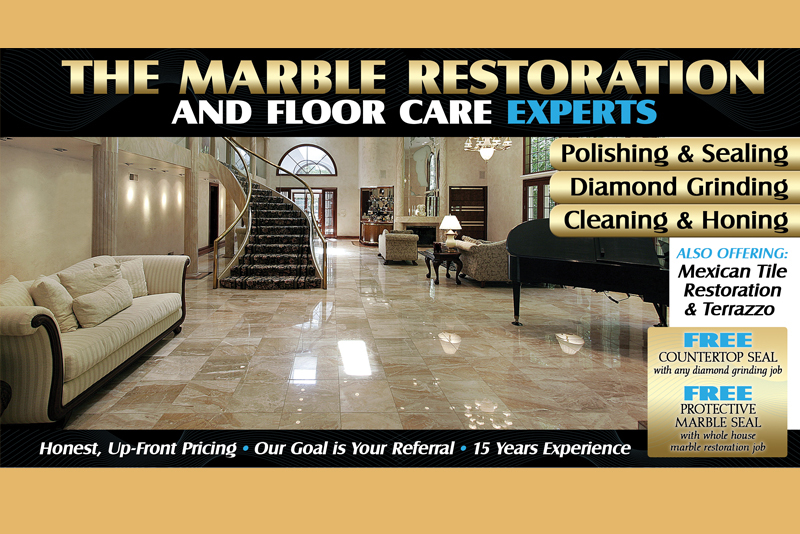 Call today and find out what we can we do for you. And dont forget to ask about our PREFERRED CUSTOMER CARD! 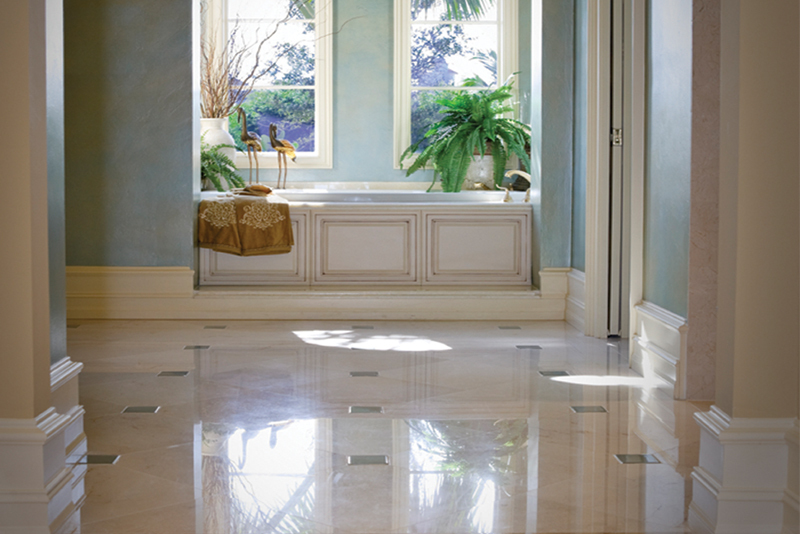 We restore Marble, Granite, Travertine, Limestone, Terrazzo, Concrete, and Mexican Tile. 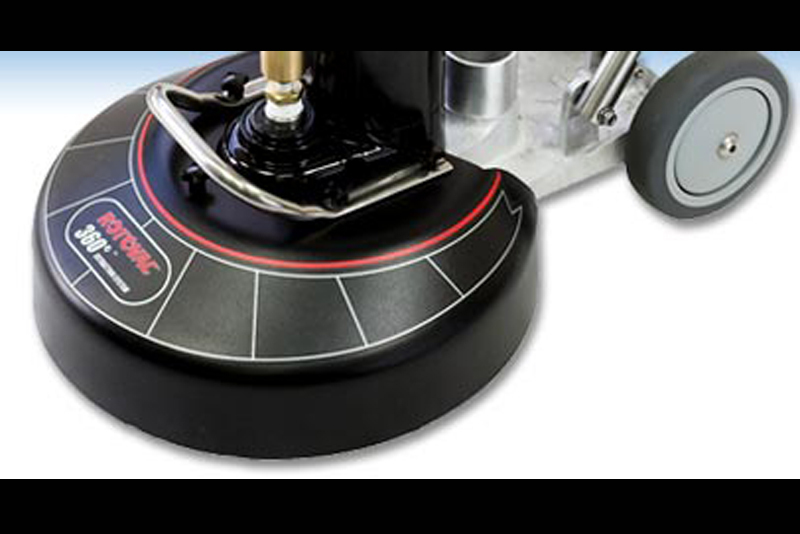 We then Diamond polish & seal for that brand new look. 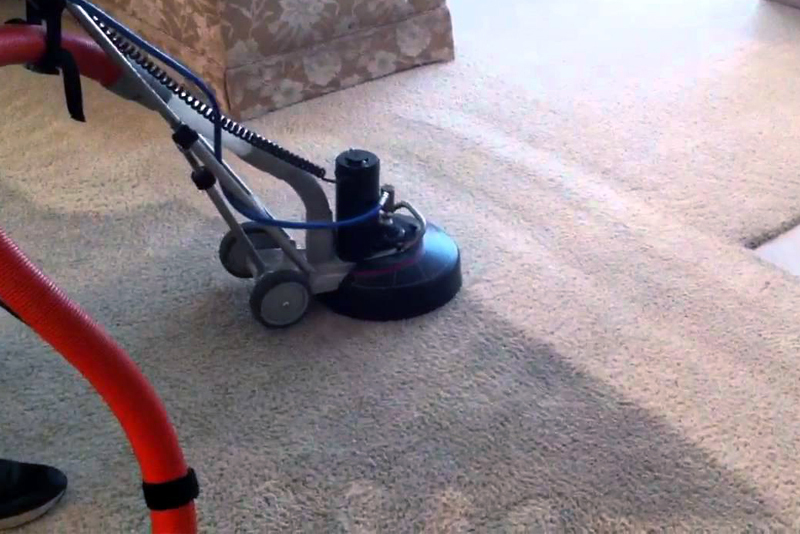 Using a state-of-the-art truck mounted machine that provides high heat & a very strong vacuum for a fast drying time, and the best cleaning results. 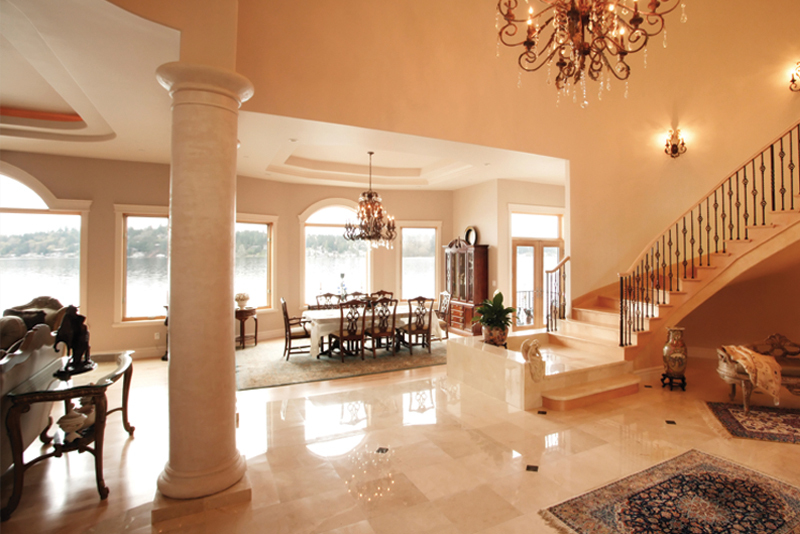 We provide a whole house full service cleaning. 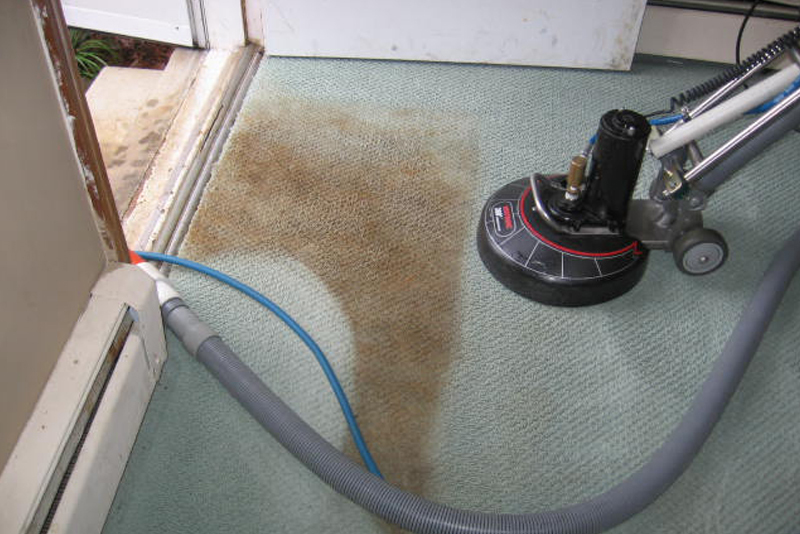 We use a state-of-the-art hot wash rig and also provide soft wash cleaning. 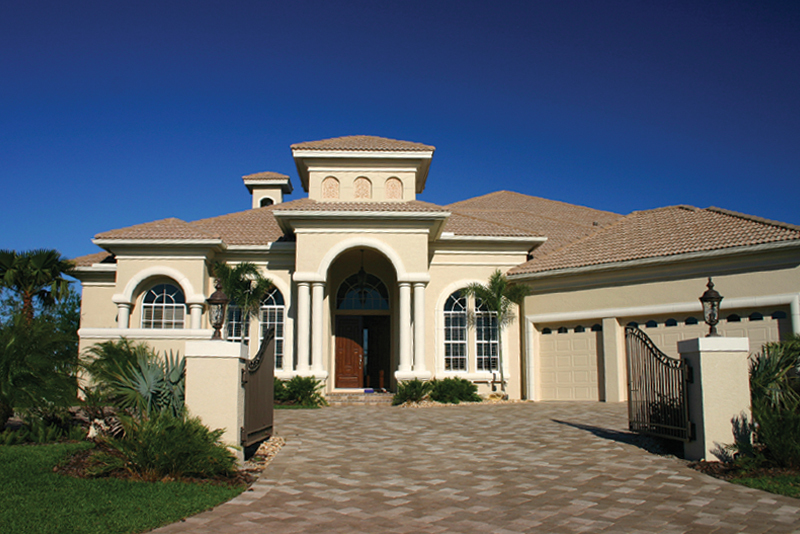 Residential & Comercial Sites. 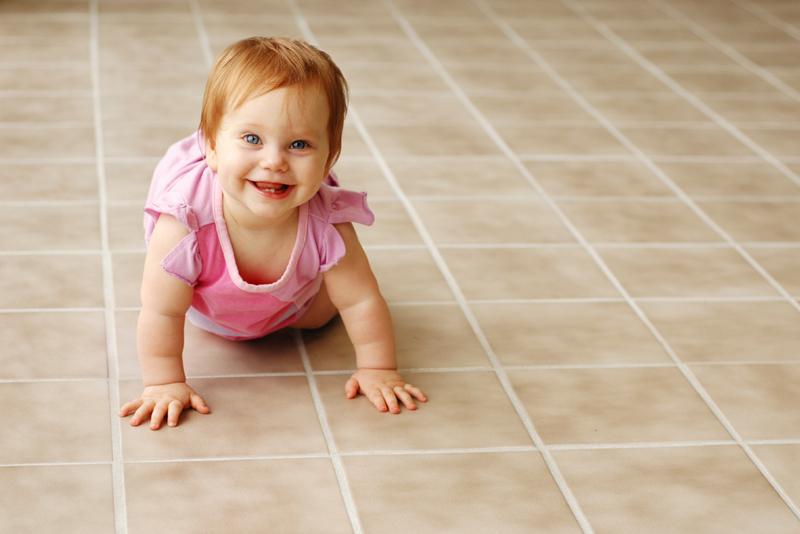 Rejuvenate floor cleaners can be used on Terrazzo and Mexican tile flooring. 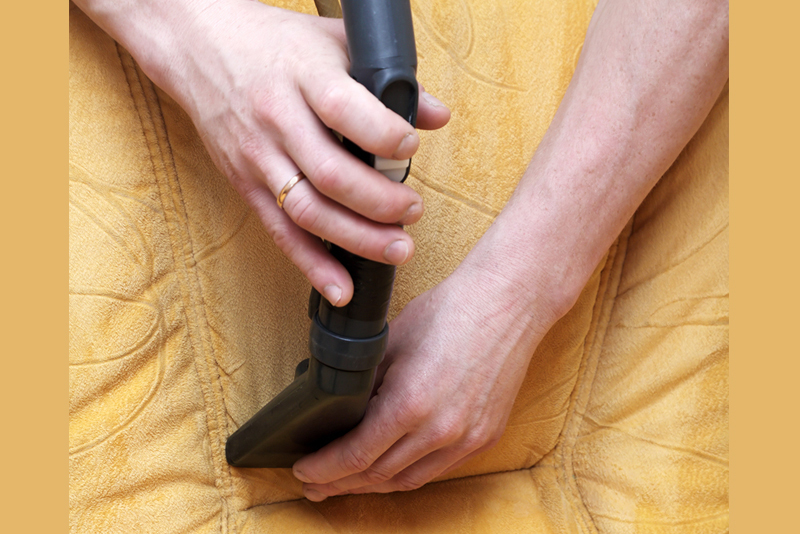 Clean and restore your floors today! 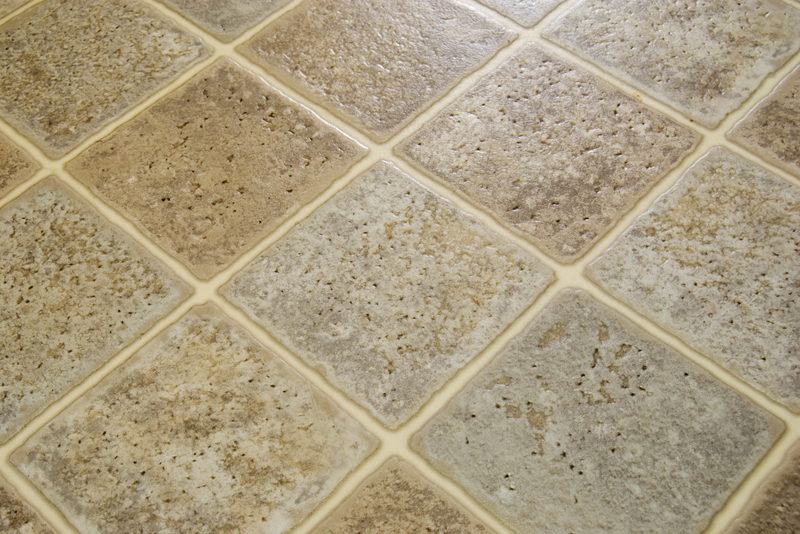 Our grout-sealing product helps maintain the cleaned grout for months and makes your regular home maintenance more effective. 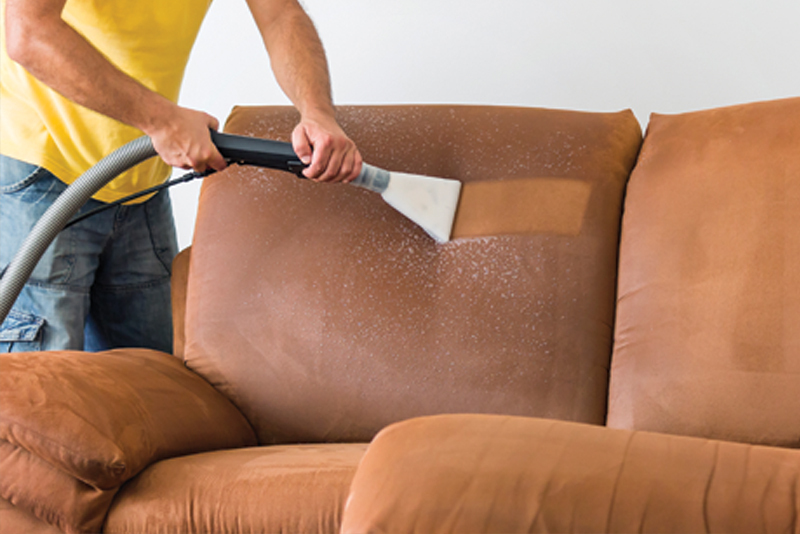 Whether you have cotton, poly or microfiber upholstery, we know how to care for it. We specialize in fixing problems others run away from. 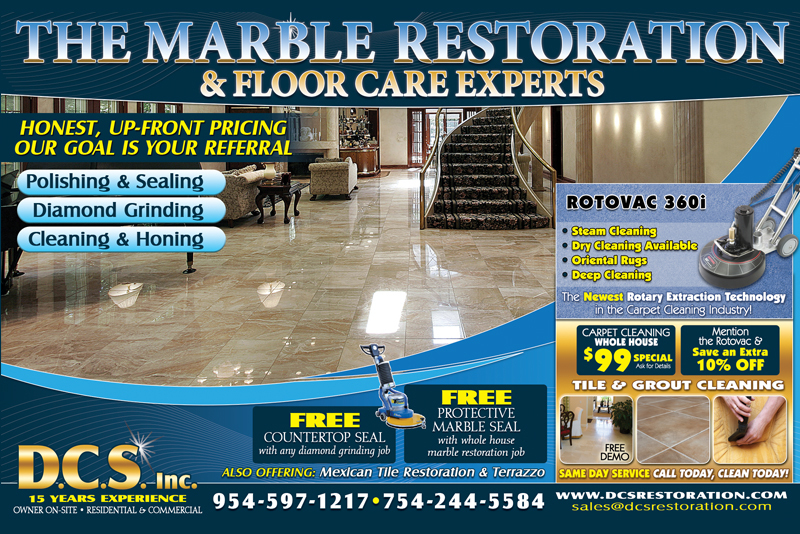 We invite you to follow and keep in touch for future special offered. 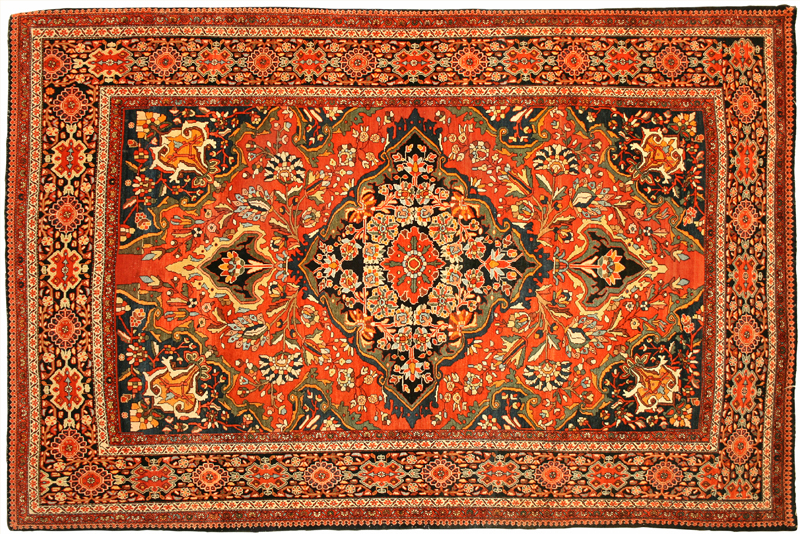 See our latest videos and information through our social media channels. 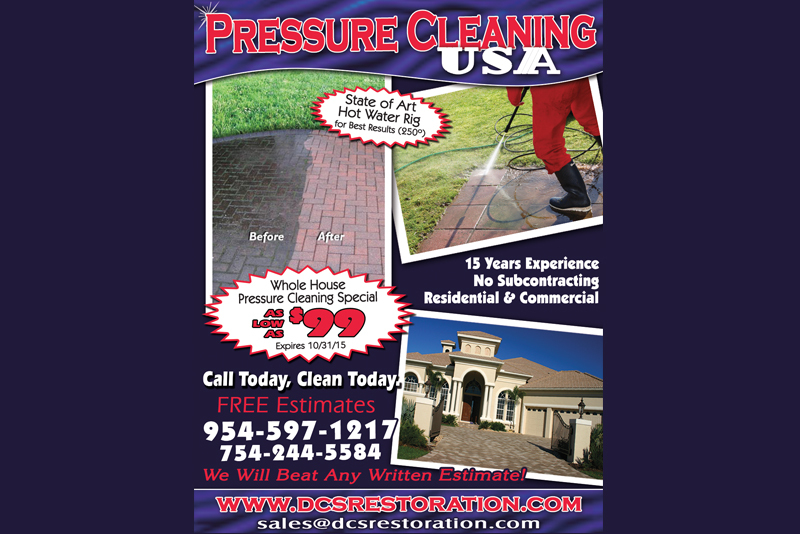 Free Estimates • Ask About Our Large Project Discounts • Call Today, Clean Today! When I called DCS Inc. 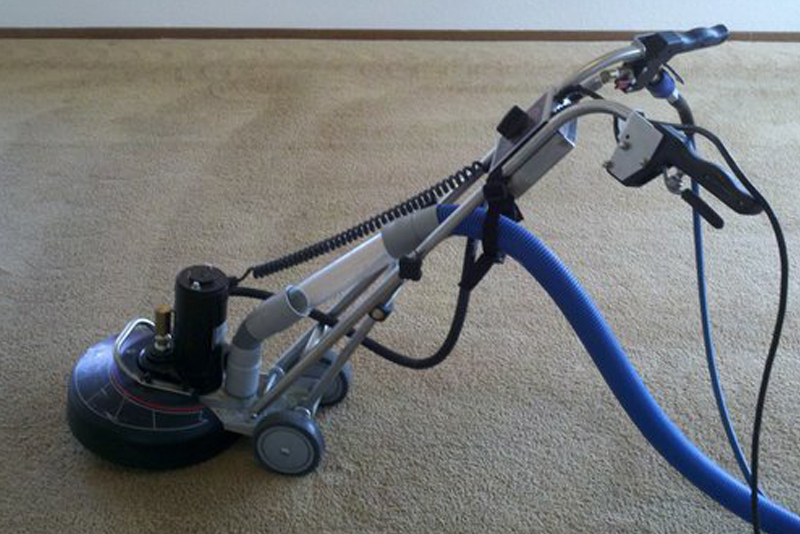 I was very impressed with how professional and experienced the technician was. 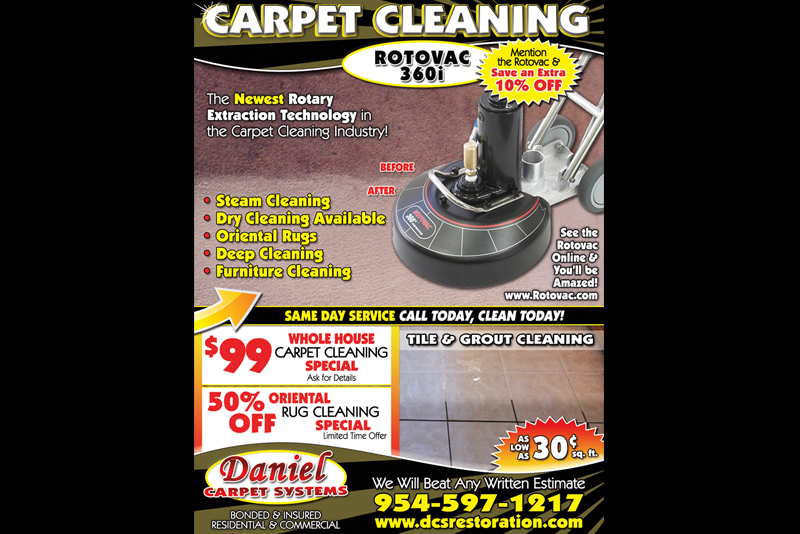 They preformed an excellent carpet cleaning job with very powerful equipment. 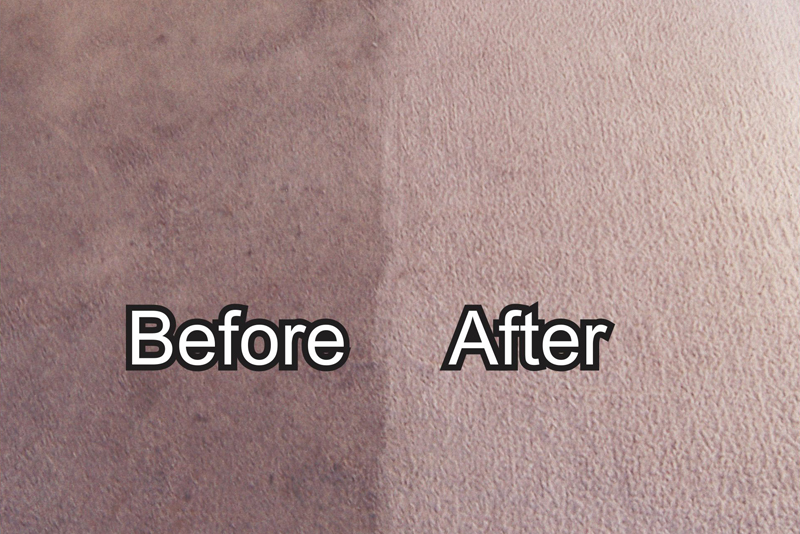 The carpets came out amazingly clean and fresh smelling. I was very pleased with the service. 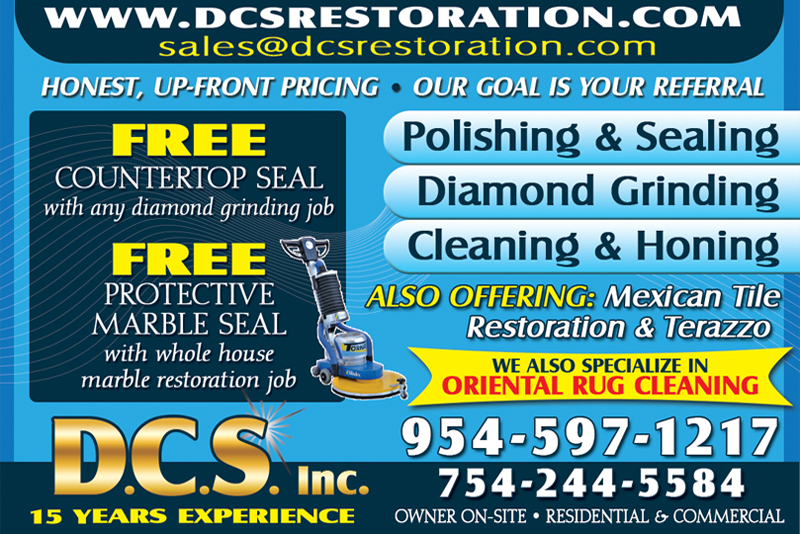 We contacted DCS Inc. to pressure clean our house. 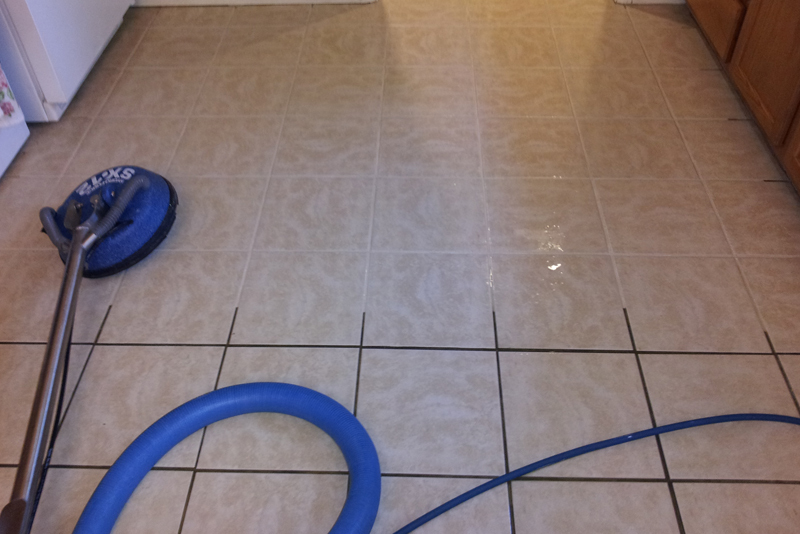 They did a great job, and our houe looks like new again. They were on time and very professional. We will definitly use their services again! 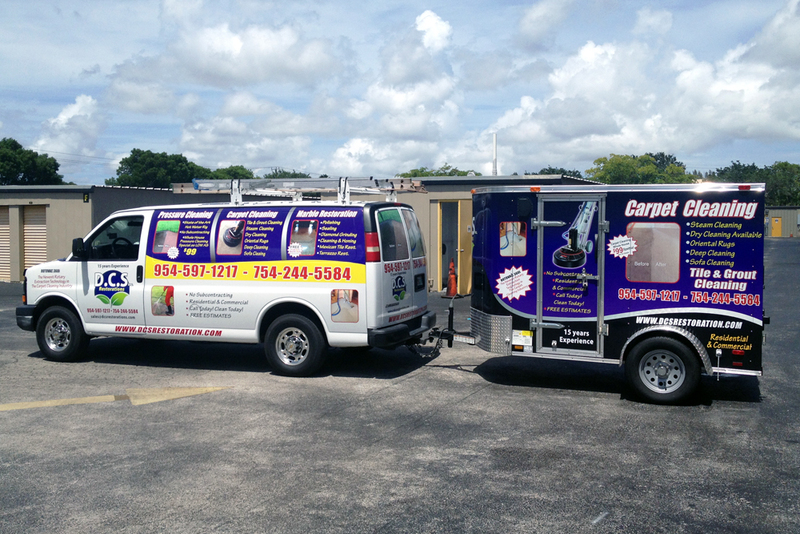 If you feel any trouble or face any problem for our service, Don't Worry! our dedicated support team members are ready to help you.